At the risk of doing a ton of quoting today, I want to pull in a scientific explanation of what happens when we’re off our sleep game and then translate it into human speak. Ready? Today, prolonged wakefulness is a widespread phenomenon. Nevertheless, in the field of sleep and wakefulness, several unanswered questions remain. Prolonged wakefulness can be due to acute total sleep deprivation (SD) or to chronic partial sleep restriction. Although the latter is more common in everyday life, the effects of total SD have been examined more thoroughly. Both total and partial SD induce adverse changes in cognitive performance. First and foremost, total SD impairs attention and working memory, but it also affects other functions, such as long-term memory and decision-making. Partial SD is found to influence attention, especially vigilance. Partial sleep deprivation is where it seems that Americans chronically exist with their lack of sleep consistency (affecting quality of sleep) ON TOP of the lack of quantity (consistently coming in under the national guidelines for eight hours of sleep nightly). The negative affects of partial sleep deprivation include impacts on attention and vigilance. Translation: if your workers have jobs that require them to monitor safety conditions and they are mildly sleep deprived, those individuals could be putting themselves and those around them in life-threatening danger. Cognitive recovery processes… seem to be more demanding in partial sleep restriction. And finally, recovering mentally from a strenuous activity like coaching an emotional employee or debating a labor relations contract requires recovery. You only have so much brain power to use in a daily basis (this is a great read for more on the topic) and it needs to be recharged before you can use it heavily again. Lack of sleep impairs that ability and again, most of us have to be on our A-game more than once a day. In short, this comes down to performance. It’s a performance issue more than anything else. How can your company out-innovate the competition when workers are stumbling around like caffeinated zombies? How can you focus on a particularly challenging situation to determine solutions when attention wanders frequently and short-term memory is impaired? Or what about the increased risk of obesity and heart attack associated with lack of sleep? My goal today was to “scare” you into seeing just how serious this is as an issue for yourself and your workforce. 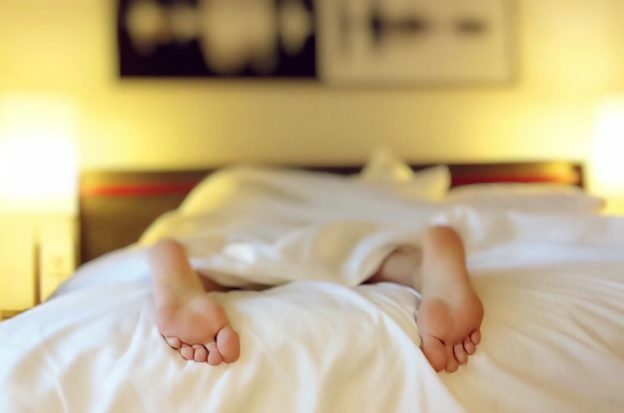 I’ve personally seen the impact of better sleep and if you look at some of the world’s top performers, they rely on sleep as their competitive advantage. It’s easy to idolize the “three hours a night” people that seem to fit in everything, but in reality those kinds of people are A) lying, B) not really accomplishing as much as they say they are, or C) cutting their lifespan prematurely in favor of making waves today. What are your thoughts? How can we make this a company-level issue? Is a different approach to wellness the answer?